On June 24, 2014, the US Fish and Wildlife Service (FES) published in the Federal Register a document reopening the comment period on a proposed rule [Docket No. FWS–R9–FHC–2008–0015; FXFR13350900000–145–FF09F14000] published on March 12, 2010, which proposed to amend our regulations to add nine species of large constrictor snakes as injurious species under the Lacey Act. Because four of the nine species were added to the regulations in 2012, this reopening notice is restricted to the five remaining species: the reticulated python (Broghammerus reticulatus or Python reticulatus), DeSchauensee’s anaconda (Eunectes deschauenseei), green anaconda (Eunectes murinus), Beni anaconda (Eunectes beniensis), and boa constrictor (Boa constrictor). Persons who have previously submitted comments on the proposed rule, should not resubmit them as they have already been incorporated them in the public record and they will be fully considered in FWS’s final decision on these five species. FWS will consider comments received or postmarked on or before July 24, 2014. Any comments that are received after the closing date may not be considered in the final decision on this action. Fish and Wildlife Service, Interior. Proposed rule; Reopening of Comment Period. previously submitted comments on the proposed rule, please do not resubmit them because we have already incorporated them in the public record and will fully consider them in our final decision on these five species. 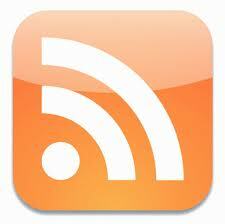 We will consider comments received or postmarked on or before July 24, 2014. Any comments that are received after the closing date may not be considered in the final decision on this action. In the Search box, enter the docket number for the proposed rule, which is FWS–R9–FHC– 2008–0015. Click on ‘‘Comment Now!’’ to submit a comment. Please ensure that you have found the correct rulemaking before submitting your comment. Suite 222; Arlington, VA 22203. We will not accept email or faxes. We will post all comments on http://www.regulations.gov. This generally means that we will post any personal information you provide us (see Public Comments below for more information). Information regarding this notice is available in alternative formats upon request. If you use a telecommunications device for the deaf (TDD), please call the Federal Information Relay Service (FIRS) at 800–877–8339. At the recent National Reptile and Amphibians and the Law Symposium in Washington, DC, a group of panelists and attendees came together to discuss the role of shelters and rescue groups in working with herps. What follows are comments from USARK President Phil Goss and the members of the session panel on their impressions of the group, the role of herp rescue, and how to advance the cause of these animals in the herp community. Reptile and amphibian rescues and shelters play crucial roles in the herp community. Occasionally, animals must be surrendered due to new overreaching laws, job loss, family relocation or other reasons. Shelters that rehome dogs and cats do not have the knowledge to care for non-traditional pets. This is when herp rescues are needed. They are always under-funded and work tirelessly running only on a true passion for these animals. certainly need more attention and appreciation. Do not donate to national organizations posing as animal welfare groups who send very little money to actually help animals. Donate locally and know where your time and money are going. Thank you to all the reputable rescues out there doing good work. While the reptile rescue community is still fairly small, it encompasses a lot more than the dog and cat world does. We have a variety of issues above and beyond the standard breed discriminatory laws that may be in place, and at times we do not have the ability to help because our hands are legally tied. It was refreshing to hear that not only your normal rescuers are working to rehome animals, but also those who benefit directly from the sale of animals as pets and livestock. Having a state agency represented who could answer some specific questions on their state was wonderful and we hope that we have given USARK a new perspective on the reptile community as a whole. The work rescuers do is just as integral to the community as the animals the breeders create and sell and the people who buy the animals. The session went well and I was glad to see at least a handful of people who sincerely were interested in the animals and not their own profit from sales of the animals. The theme of the discussion was that reptile rescue needs to work on developing relationships with the local authority that enforces the laws regarding reptiles/amphibians and who in fact seize and/or receive these animals. This can be difficult to determine because the local laws are often confusing and turn on whether the animal is an exotic or a native species. Much education is necessary on both the animals themselves and which category they fall into in any jurisdiction as well as on the local laws. Additionally the reptile rescues need to develop a network of fosters and adopters to help place the animals in good loving homes where their needs are met. Although the laws can be different and of course reptiles and amphibians as species are different from dogs and cats, we may be able to learn from the dog/cat rescue groups and perhaps reaching out to these groups could be helpful. Further, it would be helpful to create an on-line resource where rescues could reach out to other rescues nationwide as sometimes placement may be available in other states. Of course the laws must be carefully considered to determine where animals may be placed. Finally, several people explained the difficulties of having laws change on them, outlawing certain species when they have these species and then in a position of not knowing what to do with the animals. This must be addressed (lobbied) in each jurisdiction when the laws are being considered so that lawmakers understand the difficulties they are creating and that the interests of the individual animals are taken into account. I thought the panel went well, overall. I'd have loved to have had more people there, but I was actually surprised at how many were there -- I had visions of there being no one there at all! I enjoyed Christie Keith's input on things from a no-kill viewpoint, and a general animal welfare view. Cindy Steinle and I have the reptile vantage point, but sometimes having that narrow focus keeps us from seeing the wider picture. She really helped open that lens a couple of times. I was thrilled that Phil Goss from USARK was there, and even more thrilled when he said he'd be interested in helping with a national reptile rescue effort. I really, really hope he can follow through with that. 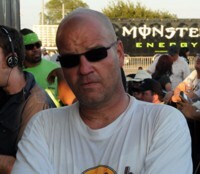 I no longer have the time and energy to spearhead it, but I do have the passion for helping. I'd also love to get other rescues to step forward and take part in getting the word out to people about how law changes can drastically affect them, when they suddenly get hundreds of animals dumped on them because the animals are banned. Last, one of my fondest wishes would be for there to be a national conference for reptile rescues. I don't know how many would participate, but it would be great to start it and see how it grows. I don't have a double standard for reptiles and amphibians vs. dogs, cats, or other more mainstream pets when it comes to rescue and sheltering: If you kill an animal who is healthy or treatable, you haven't "rescued" that animal. I'd like to see the reptile community come together and adopt the best practices of successful shelters and rescue groups, and show the laggards how it's done. It was a pleasure to be on this panel and hear from so many rescuers who really walk the talk when it comes to saving the lives of these animals. I look forward to great things from this community, and was particularly excited at USARK's interest in promoting reptile and amphibian rescue and sheltering. NRAAC needs a few good herpers to support our work! The National Reptile and Amphibian Advisory Council needs your help! First, we'd like to thank the Association of Reptile and Amphibian Veterinarians and Wayne Hill of the National Reptile Breeders Expo in Daytona Beach for each contributing $500 toward the costs of the 2014 law symposium, held earlier this month in Washington, D.C. In total NRAAC needs to raise an additional $4,787.97 to cover the costs of putting on this year's event. NRAAC and the co-hosts would like to thank George Washington University Law School for making their facilities available to us to hold our 2014 law event at no cost. But we'd very much appreciate your help with covering the remaining expenses. Please email info@nraac.org if you want to help! If you're coming to the Second Annual Reptiles and Amphibians Legal Symposium in Washington, DC, March 7-8, you should have received an email with the schedule, location, and other details. If not, here's everything you need to know! First, if you want to attend, registration is still available for this free event, or you can simply walk up. While there's no registration fee, space is limited; email us at info@nraac.org if you have questions. The event will be held at George Washington University Law School, Lerner Hall Room LL101, 2000 H Street, Washington D.C. 20052. Registration and check-in start the morning of Friday, March 7, at 7 AM, and runs until 5 PM that day. Registration and check-in are open Saturday, March 8, from 8 AM to 10 AM only. There will be coffee, muffins, and fruit. To register, or for more information, visit our 2014 Symposium site. National Reptile and Amphibian Law Symposium panelist Jeff Barringer was a computer network engineer, developer, and consultant for Houston-based Compaq Computers tasked to work with federal agencies and the military when he launched his first reptile web page, the Alterna Page, as a web technology demonstrator in 1994. A long-time hobbyist, reptile collector, and breeder, in 1997 Jeff launched a follow-up website, kingsnake.com . The site is still recognized as one of oldest, largest, and most popular reptile hobbyist communities on the Internet, generating a quarter billion page views on average annually for over a decade. Jeff was also one of the founders of the original National Reptile and Amphibian Advisory Council (NRAAC) in 1998, one of the first pet-owner associations launched via the web. He was also one of the founders again when NRAAC reformed in 2012 as an educational organization. In addition to his role as chairman of the NRAAC steering committee, Jeff is a long-time member of the East Texas Herpetological Society, as well as of the Southwestern Center for Herpetological Research. Over the years, Jeff has served in an advisory role with organizations such as the annual International Herpetological Symposium and the Pet Industry Joint Advisory Council. His website has sponsored and promoted hundreds of reptile and amphibian educational events, such as this year's Snake Days event in Sanderson, Texas, the annual ETHS Symposium in Houston, and the Chicago Herp Society and their annual Reptilefest. A long-time Texas naturalist, Jeff has activity opposed rattlesnake round-ups since the 1980s, and has appeared numerous times before the Texas Parks & Wildlife Commission since then to discuss round ups, as well as other issues with laws and regulations pertaining to both native and non-native herpetofauna. Over the years Jeff has appeared dozens of times before legislators, agencies, councils, and commissions as a speaker on reptile and amphibian laws and how they impact hobbyists and businesses. An avid field collector and photographer, he still spends much of his free time photographing reptiles and amphibians in the wild in Texas, and is currently cataloging the hertpetofauna of the Blackland Prairie of Williamson County. Jeff currently keeps a small collection of Williamson County kingsnakes he has collected on his property. Jeff Barringer will be a panelist and a moderator at the free National Reptile and Amphibian Law Symposium in Washington, D.C., March 7-8. For more information and to register to attend, please click here. Is it still "rescue" if they kill the animals? Journalist and communications consultant Christie Keith has been a pet columnist for the San Francisco Chronicle, a contributing editor to the nationally syndicated pet feature Pet Connection, and a well-known blogger, editor, and social media consultant for a number of pet, veterinary, and animal welfare businesses and organizations. She has also spoken at a number of national animal welfare conferences on using social media to advocate for animals and increase pet adoptions. Keith is active in the no-kill movement, and will be joining the rescue panel at the free National Reptile and Amphibian Law Symposium in Washington, D.C., March 7-8, 2014. Her focus will be encouraging reptile and amphibian rescue groups to work more effectively with animal control agencies and shelters and demand greater consideration and increased lifesaving efforts for their animals. For more information and to register to attend this free event, please click here. Richard Fife has bred reptiles for more than 40 years, both as a hobbyist and professionally as a zookeeper and then commercial breeder. 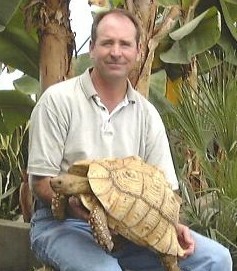 He and his wife Lark are the owner and operator of Riparian Farms, a turtle and tortoise-breeding facility the foot of the Huachuca Mountains in Arizona, where they produce and sell captive hatched turtles and tortoises, including the "Ivory Tortoise" (albinic African spurred Tortoise). Richard is the Past Assistant Curator of Reptiles at the Gladys Porter Zoo, Brownsville, Texas and has captive bred 13 species of tortoise plus a number of species of water turtle over the years. He is a member of the TSA (Turtle Survival Alliance), and works with and has produced several species of Asian turtles and tortoises. He continues to work with a small group of Asian turtles in hopes of enhancing captive breeding techniques with these species. For almost 20 years Richard has been trying to legalize the sale of turtles, tortoises, and terrapins which are under four inches to "informed adults", in 1998 submitting a petition to amend the 1975 FDA regulation, and he continues to push for changes to this day. Richard Fife of Riparian Farms will be a panelist at the free National Reptile and Amphibian Law Symposium in Washington, D.C., March 7-8. For more information and to register to attend, please click here. Bonnie and husband Richard Keller are the founders of VA Reptile Rescue, Inc., a nonprofit organization based in Virginia since 1999. The shelter takes in and cares for unwanted, sick, or ill animals and adopts out reptiles, such as turtles and tortoises, lizards and snakes, as pets to individuals and schools. When she moved to New Hampshire, Keller began a reptile club as a way to make friends, but once she got the club going, she found many people came to her when they could no longer care for their animals. Today the all volunteer VA Reptile Rescue, Inc. is one of the most successful reptile rescues in the state, even though Keller receives no state or federal money and funds the rescue strictly through donations. Individuals sometimes bring their reptiles directly to the rescue, but often they come from Animal Control agencies, rescues, and shelters that are ill equipped to deal with homeless, sick, or injured reptiles and amphibians. Bonnie been a consultant for and provided assistance to local, state, and federal authorities in cases of abuse, neglect, and confiscation. Bonnie graduated from Old Dominion University in Norfolk, VA in 1993 with a BS in Geology and is a science teacher at Lanier Middle School, Fairfax County Schools, in Virginia. Bonnie has been teaching science since 1993. 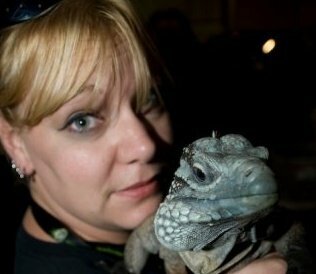 Bonnie Keller of VA Reptile Rescue, Inc. will be a panelist at the free National Reptile and Amphibian Law Symposium in Washington, D.C., March 7-8. For more information and to register to attend, please click here. Dr. Karen Lips is an Associate Professor and Director of the Graduate Program in Sustainable Development and Conservation Biology at the University of Maryland. The work of her lab is focused on the conservation and ecology of amphibians, with interests at multiple scales – including population, community, and ecosystems – especially as they are affected by emerging infectious disease and global change. Many of the Lab’s projects examine the interactions among amphibian hosts , the frog-killing fungus Chytrid , and the environment to determine why some species decline, some go extinct, and others are not affected. Another group of projects determines the ecological impacts of amphibian population declines on other components of the aquatic and terrestrial ecosystems. A third group involves science communication, policy and educational outreach aspects of these scientific projects. Dr. Lips has a B. S., Zoology from the University of South Florida in Tampa, and a Ph. D., Biology, from the University of Miami, in Coral Gables. Dr. Karen Lips from the University of Maryland will be a panelist at the free National Reptile and Amphibian Law Symposium and Workshop in Washington D.C., March 7-8. For more information and to register to attend, please click here. Marshall Meyers, partner in the D.C. based law firm Meyers and Saltman, has served as Chief Executive Officer and General Counsel at Pet Industry Joint Advisory Council and currently serves in the role of Senior Advisor, and has represented them since 1970. Marshall has a long history dealing with reptile and amphibian laws and regulations at the federal level, having been involved since the 1970s, testifying numerous times before congress and various committees. Marshall Meyers is a member of National Invasive Species Council, which provides high-level interdepartmental coordination of federal invasive species actions and works with other federal and non-federal groups to address invasive species issues at the national level, and has been tracking and monitoring invasive and injurious species issues in the United States for over 40 years. His first involvement with invasive and injurious species dates back to 1973 when the U.S Fish and Wildlife Service attempted to classify all non-native species as invasive until proven non-invasive. He has served on numerous international, federal and state working groups and oversees the industry’s initiatives to minimize harmful ecological, economic and human health impacts caused by non-native species. Marshall Meyers from the Pet Industry Joint Advisory Council will be a panelist at the free National Reptile and Amphibian Law Symposium and Workshop in Washington D.C., March 7-8. For more information and to register to attend, please click here. The State of Florida has long been a flashpoint for reptile and amphibian issues, from re-establishment of native reptiles such as the American Alligator and American Crocodile, to invasive species issues, such as the Burmese Python and other exotics, to the long established and extensive trade in reptiles and amphibians that has grown over the years into a multi-million dollar industry. Over the years at the Florida Fish and Wildlife Conservation Commission, biologist Scott Hardin has been involved in much of it. Having recently joined the Pet Industry Joint Advisory Council, Scott Hardin formerly served as the Bureau Chief of Fisheries Services for the Florida Fish and Wildlife Conservation Commission. In that role he conducted freshwater fisheries management projects, including aquatic habitat restoration, aquatic plant management, urban fisheries programs, non-native fish laboratory, and aquatic education. Most recently, Hardin was the Section Leader for Exotic Species Coordination at the Florida Fish and Wildlife Conservation Commission, coordinating prevention and control activities including regulation development, education and outreach, eradication, and monitoring. In addition, Hardin developed Florida’s Exotic Pet Amnesty Program, which offers an alternative to releasing non-native pets into the wild. The program hosts adoption events for all exotic reptiles, amphibians, birds, fish, mammals and invertebrates. Every surrendered pet is examined by a veterinarian, and all healthy pets are placed with qualified, pre-approved adopters. Hardin has also authored publications on risk analysis and continues to work on methodology to improve science-based risk assessments. Scott Hardin from the Pet Industry Joint Advisory Council will be a panelist at the free National Reptile and Amphibian Law Symposium and Workshop in Washington D.C., March 7-8. For more information and to register to attend, please click here. National Reptile and Amphibian Law Symposium panelist Marcus Cantos was the general manager of a large reptile and amphibian import/export company for 12 years before launching his own reptile breeding project specializing in turtles and tortoises in 2003. Today, his company, the Turtle Source, devotes much of its resources toward the successful education about and keeping of turtles and tortoises at numerous schools, zoos, aquariums, and to the general public. Cantos has had notes, commentaries, photos, and articles published in Reptiles Magazine, and his work of more than 40 years working with chelonians has been cited in many turtle husbandry books and international breeding papers. An amateur field herpetologist, naturalist, and photographer, Cantos' experiences have ranged from the wilds of his native Long Island, NY, to the mountains of Arizona, his current home of more than 20 years in Florida, and even the Paraguayan Chaco, where he located and recorded red and black tegus, several tortoise species, many little-known amphibian and snake species, and some of the very first specimens of the newly discovered turtle species Acanthochelys maccrocephala, the pantanal swamp turtle. In the 1990s, Cantos worked closely with the Reptile Industry, PIJAC, the US Fish and Wildlife Service, and the International Air Transport Association (IATA) to successfully develop safe and humane shipping standards and regulations for reptiles. From 2000 to 2003, he worked with the reptile industry, PIJAC, the Florida Department of Agriculture, and the USDA to develop the National Reptile Improvement Plan, now the gold standard for reptile keeping for both the hobbyist and commercial keepers. For the past 12 years, as an industry elected representative, he has actively worked with the Florida Fish and Wildlife Conservation Commission on numerous reptile regulations and issues. 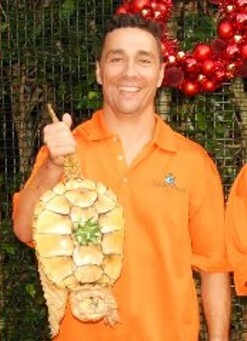 During this same time Cantos has also served in several reptile industry/USDA working groups, and is currently serving his third term on the Florida Department of Agriculture's Animal Industry Technical Council, appointed by Florida's Agriculture Commissioner to advise and update the State of Florida on all reptile industry matters and issues. Cantos has presented to numerous herpetological societies, the Turtle and Tortoise Club of Florida, and at the National Reptile Breeder's Expo. For nearly three decades, he has appeared numerous times before legislators, state and federal government agencies, councils, and commissions as an industry member and representative on reptile and amphibian laws and how they relate to and affect hobbyists and industry members. Born in Queens, NY, and attending St. John's University, Cantos earned an AS degree in business administration and a BS degree management science. He is a member of the Calusa Herpetological Society, the Turtle and Tortoise Club of Florida, the Turtle And Tortoise Preservation Group, the Pet Industry Joint Advisory Council, and the United States Association of Reptile Keepers. Cantos has been a reptile hobbyist since his earliest years, keeping and breeding a wide range of reptiles. Today he works with over 200 varieties of turtles and tortoises, successfully breeding 58 species, including some that are essentially extinct in nature. Through assurance colonies, successfully managed and maintained by both hobbyists and professional breeders, he understands that captive breeding is the proven answer for many species of reptiles and amphibians whose wild populations are declining for a variety of reasons in today's world. Marcus Cantos from the Florida reptile industry will be a panelist at the free National Reptile and Amphibian Law Symposium and Workshop in Washington, D.C., March 7-8. For more information and to register to attend, please click here. Ty Park has been keeping and breeding reptiles for more than half a century, and is currently concentrating on propagation and conservation of Cyclura, Ctenosaura, and Hydrosaura lizards at his reptile farm in Florida. The reptile trade changed dramatically in the 1970s and 80s, when the industry began a shift from a wild-caught/import model to a captive-born/domestically produced model. By the 1990s, some hobbyist breeders had developed their knowledge, skills and tradecraft into large scale commercial farms and breeding facilities. Supplying everyone from hobbyists and small retailers to major distributors and big box retailers such as Petco and PetSmart with millions of captive bred reptiles and amphibians, these farms have significantly reduced colection pressures on wild populations. Although thousands of animals are still imported for the reptile trade, captive-bred reptiles and amphibians now predominate the animals available in the North American marketplace. Real estate developer, businessman, and longtime reptile hobbyist Ty Park, from Ty's Lizards in Punta Gorda, Florida, was one of the breeders who made the jump from hobbyist to commercial breeder in the late 80s. His business, Lasco Inc./Ty's Lizards, is one of the largest suppliers of captive-bred reptiles and amphibians to the retail supply chain. Producing tens of thousands of cold blooded pets annually, Park's business, along with other commercial breeding facilities, was substantially responsible for the shift of the marketplace to the captive-born model and away from the wild-caught. While keeping a relatively low profile in the reptile community, Park is best known for his many donations over the years at charity auctions held at reptile events around the United States every year, donating tens of thousands of dollars to reptile and amphibian conservation organizations and causes, such as the International Reptile Conservation Foundation. Additionally he joined the National Reptile and Amphibian Advisory Council in the spring of 2012, serving as Vice-Chairman of the Steering Committee, responsible for setting the goals and direction of the educational organization and its annual reptile and amphibian law event. Ty Park will be a panelist at the 2014 Reptile and Amphibian and the Law Symposium. For more information and to register to attend the event in Washington, D.C., March 7-8, 2014, please click here. Richard, E. Sayers, Jr., Ph.D., is the Chief of the Division of Environmental Review in the Fish and Wildlife Service’s headquarters office in Arlington, VA. He works closely with Service personnel and others who negotiate and implement Interagency Cooperation procedures, Habitat Conservation Planning procedures, and the Fish and Wildlife Coordination Act. In his role Rick and his department, the Division of Environmental Review, manage many aspects of the U.S. Fish and Wildlife Services implementation of the Endangered Species Act. The Endangered Species Act, which celebrates it's 40th anniversary this year, has been successful in stabilizing populations of species at risk, preventing the extinction of many others, and conserving the habitats upon which they depend. Rick earned a doctorate in Zoology from the University of Maine, a Master of Science in Aquatic Biology from Eastern Michigan University, and a Bachelor of Science in Biology from the University of Notre Dame. Rick’s outside interests include fishing, photo-safaris, traveling, and helping his wife raise assistance-dogs-in-training for various non-profit groups. Rick Sayers of the United States Fish and Wildlife Service will be a panelist at the free National Reptile and Amphibian Law Symposium in Washington, D.C., March 7-8. For more information and to register to attend, click here.